Much has been written about Ogden’s renewal of 25th street, but just a block away stands Ogden’s tallest building, the twelve-story First Security Building, which has been empty for years. 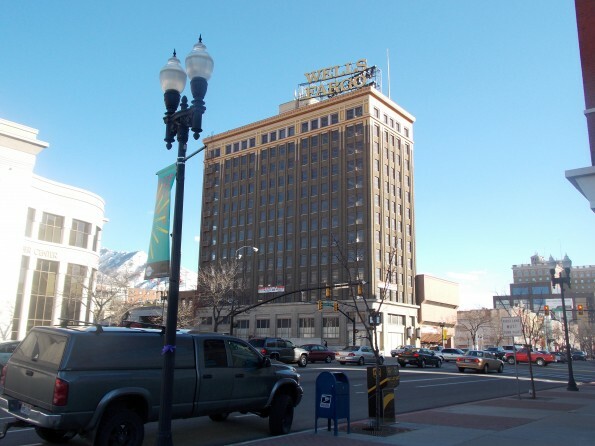 Known popularly as the Wells Fargo Building for the sign on the roof, it was constructed in 1926 and stood for most of the century as a symbol of Ogden’s prosperity. Then why would the city allow such a symbolic structure, especially one so large, to fall into vacancy? Brandon Cooper, Deputy Director of Community and Economic Development in Ogden, claims that this and other abandoned building in Ogden mean less about the economic state of the city than they seem. 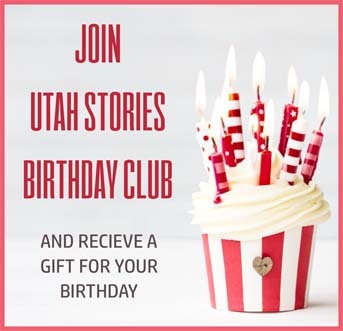 Cooper claims that, after the railroad left and the stockyards died, “Ogden had a hard time trying to reconfigure and figure out what it wants to be.” While that could have meant the a free-fall for the city, Cooper claims that the 21st century has been one of growth. Cooper claims that Ogden has “diversified so well in terms of our business sectors.” While the railroad provided an economic center up until the 70’s, the growth now seems to be focused on four areas: outdoor recreation, aerospace, technology, and advanced composites. With surges in these sectors, the economy has grown in new paths. But why then are prominent buildings like First Security still empty? The answers are less troubling than we might expect. Tom Christopulos, the Director of Community and Economic Development, claims that the real issue lies in the challenge of reuse. The First Security Building alone requires a retrofit that would cost over two-million dollars, a price that most buyers are unwilling to pay. Other issues include the unique structuring of the building which makes it difficult for modern businesses and a lack of underlying financing. Even with all that, Greg Montgomery, Ogden’s planning manager, says there have been inquiries into the building and that even one company came in and gutted the building but ultimately left. He is hopeful for a buyer in the near future. Christopulos added that “rents in Ogden are extremely low,” which has meant a surge in buyer interest for many of the vacant buildings in Ogden. While First Security may be the most prominent example, other historic buildings like the Kiesel building and the American Can building have been successfully retooled. 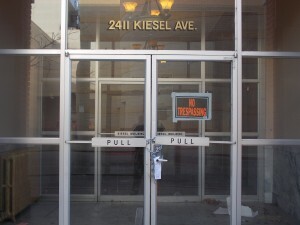 Kiesel is currently under retrofit to fix, among other things, a lack of parking. Christopulos claims this is a common issue with older buildings in Ogden. Many remain closed simply due to their lack of access. 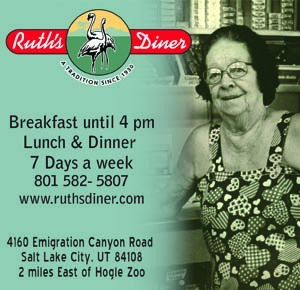 With the retrofit, he expects Kiesel will continue to be an important Ogden location. 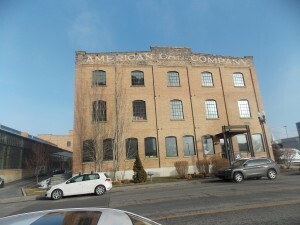 The American Can building, recently added to the National Register of Historic Buildings, has been successfully converted to the U.S. headquarters of Amer Sports. Perhaps more important than the retrofitting of old buildings is the movement of companies into new ones. The reason First Security is vacant is because its last few businesses moved to the Junction, one of Ogden’s new centers of development. The growth from the Junction alone should be an indication that the city is not becoming derelict, it’s just growing in new areas. While the move from First Security meant the emptying of a landmark, it also showed Ogden’s ability to evolve. In its current state, First Security can no longer ably serve the needs of businesses, so they made the move to the Junction which will allow the retrofitting of the old building. The First Security Building may be a mainstay of the cityscape, but Christopulos hopes that investors and the community will see the economic growth happening all over the city. “That was the epicenter of the city,” he said. “We’d love to get it filled.” But, while filling the building would be a great symbolic gesture pointing to the incredible upswing in Ogden, Christopulos asks, “Is it better to have substandard tenancy or no tenancy?” The answer seems to be patience. In time, the building will be used, and properly. But for now, Ogden continues to grow all around it. While some may see Ogden’s tallest building as an eyesore due to its seemingly abandoned state, Christopulos and his team believe that Ogden’s economic epicenter has shifted and that the city’s growth will continue well into the next decade.